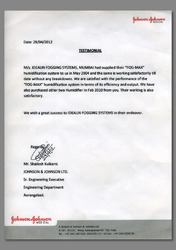 Received Testimonial from JOHNSON & JOHNSON LTD. who are using our FOGMAX Humidifier in their Medical Packaging division in Aurangabad since 2004. 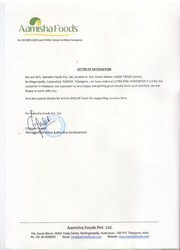 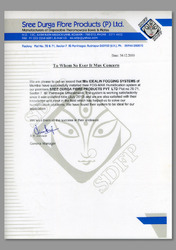 Received testimonial from AAMISHA FOODS PVT. 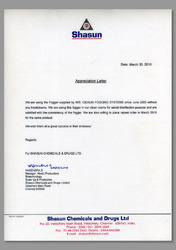 LTD. who have supplied our ULRAFOG Humidifier to their client in Malaysia and the client is very satisified with the results since 2016. 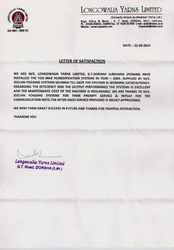 Received Testimonial from AMARTARA PVT. 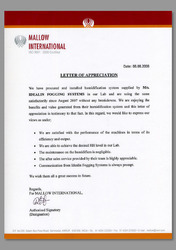 LTD. who are using our FOGMAX Humidifier in their QC Lab since 2013. 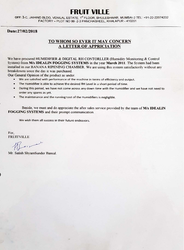 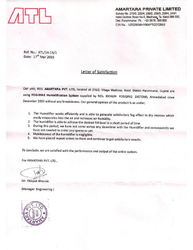 Received Testimonial from LONGOWALIA YARNS LTD. who are using our FOGMAX Humidifier in their Packing department (Spinning division) in Ludhiana since 2009.